The World Rally Championship (WRC) is a rallying series organised by the FIA, culminating with a champion driver and manufacturer. The driver’s world championship and manufacturer’s world championship are separate championships, but based on the same point system. 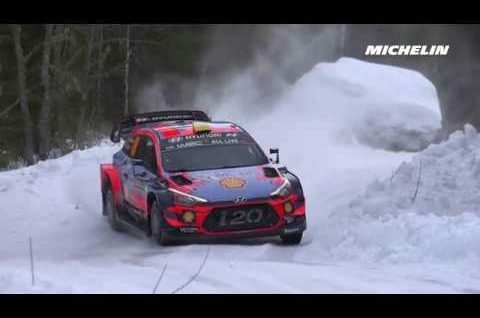 The series currently consists of 13 three-day events driven on surfaces ranging from gravel and tarmac to snow and ice. Each rally is split into 15–25 special stages which are run against the clock on closed roads. The WRC features three support championships, the Junior World Rally Championship (JWRC, formerly the WRC Academy), the World Rally Championship 2 (WRC-2, formerly the Super 2000 World Rally Championship), and the World Rally Championship 3 (WRC-3, formerly the Production World Rally Championship) which are contested on the same events and stages as the WRC, but with different regulations. The production car, super 2000 and junior entrants race through the stages after the WRC drivers.